How much Math can kids learn without a textbook? Here is a list of no prep and no props* ways to make Math more relevant, interesting, and transparent in your daily life. Do your kids love math? … Or dread it? 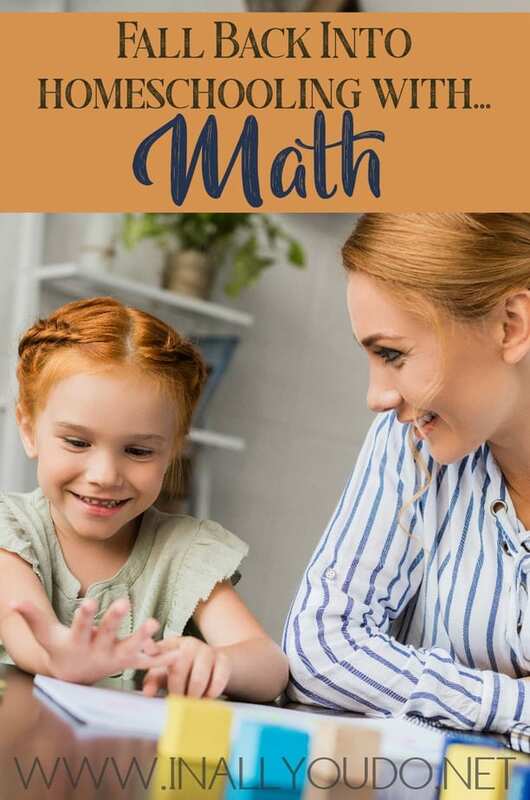 Are you looking for effective ways to teach (or simply talk about) Math with your kids — naturally and in real-life scenarios? Count things! (toys, food, books, leaves …) Focus on helping young kids with one-to-one correspondence between objects and numbers. Practice counting to 100 while you’re driving in the car, or try singing the numbers to a tune of your choice. Help older kids practice counting backward from 100. Skip count to 100 by 10’s and 5’s — then do it while skipping! Gather items and group them by 2’s, then count them by 2’s. Then try groups of 3. How high can you count this way? Basic 2-dimensional shapes: Identify and search for triangles, circles, squares, diamonds, parallelograms (etc.) in the house, park, or store. Trace shapes in the sand or in trays filled with rice or shaving cream. 3-d shapes: Identify and search for cylinders, cubes, pyramids (etc.) in the kitchen, building architecture, or works of art. Talk about the number and shapes of each face and how volumes of different shaped containers compare. Fractals: Point out how a fern or an evergreen tree grows in a fractal pattern. Look up more naturally-occurring fractal patterns online. Try drawing a Sierpinski triangle or a Koch snowflake. See if your kids can explain fractals to someone else. Symmetry: Look for symmetrical designs in buildings and artwork. Create a mandala on paper or outside using sticks, stones, leaves, and sand. Play with real money – talk about names and values of different coins, combine coins to make exact change, and practice giving change back from a $10 bill. Talk about money as it comes up in your life – cost of bills, groceries, house payments, taxes, salary vs. hourly wage, etc. Show kids what paper money, credit cards, receipts, bills, bank statements, tax forms, and loans look like. Refer to a calendar often. Help kids develop a sense of days of the week, months, and seasons and understand repeating patterns of events in time (both scheduled things and natural phenomena — 365 days for the earth to travel around the sun, etc.). Refer to times (scheduled events and lengths of times) throughout the day using an analog clock. Explain the minute and hour hand. The continual referencing, the authentic need for understanding time, and the clear visual representation will help them learn this skill in a solid way. Supplement with practice problems as needed. Scale: Play with a map on G.P.S. Find your address and zoom in and out, talking about how distance between things is relevant to the scale of the map. On a plane ride, talk about how things appear to get smaller as you get further away from them. Graphs and charts: Find graphical representations of data online, in newspapers, books, magazines, etc. Look for bar graphs, line charts, and pie graphs. Talk about the differences between percentages and real values. How can data be “skewed” to prove a point? Probability: Based on sports stats, how likely is it that a player will hit the ball / make a shot, etc.? In a gumball machine, how likely is it that you’ll get a certain color? Math is all around us and occurs quite naturally in our daily lives. As Galileo said, the universe is written in the language of Math. 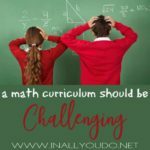 I hope these ideas help you cultivate a positive learning environment where Math ceases to be a source of anxiety and becomes a useful, beautiful, and familiar language. 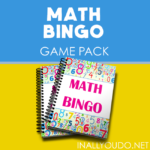 If you are looking for hands-on activities to help your children or students learn Math in authentic, engaging ways, you may be interested in this free offer. This free offer has ended. Download your own copy of the activity-based ebook on learning Math using ten frames here. Sandra, formerly a high-school math teacher (M.A. 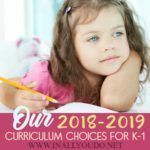 ), now homeschools her two boys and shares her interactive, authentic learning activities, homeschooling stories, and passion for learning and teaching at R.E.A.L.-World Learners. You can view her products (including several freebies!) in her Teachers Pay Teachers store and follow her eclectic, sometimes hectic (but usually happy!) learning adventures on Instagram.